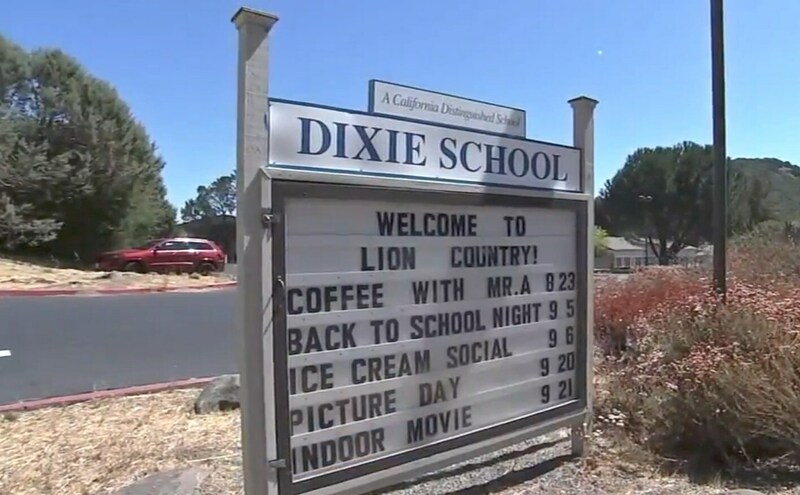 Residents of San Rafael, a community in Northern California, are battling over the name of its school district – the Dixie School District – with opponents to the name saying it conjures up thoughts of the Confederacy and slavery, the Los Angeles Times is reporting. The school board in the community of 59,000 north of San Francisco is slated to vote at a meeting today to consider more than a dozen alternative names for the district, which is majority white. The issue has bubbled up at a time when several elected officials have admitted to donning blackface in the past and three clothing companies have issued apologies for selling items that appear to show blackface, which was intended to demean Black Americans in the slavery and Jim Crow eras. But We Are Dixie, a group of people who want the name to stay – who declined to allow the Times to publish their identities – say the name has nothing to do with slavery, the Civil War or the South. It came from Mary Dixie, a Native American woman connected to James Miller, founder of the school district, according to the website wearedixie.org. The website explains that Mary Dixie, a Miwok born in 1832, married fellow Miwok John Dixie near a region founded by James Miller’s inlaws – thus, the connection. “It is proven that the Dixie Miwok name existed long before the confederacy,” according to the site. We Are Dixie members said in a statement published by the Times that a vote was the best way to navigate through the controversy.